Feel immediate difference in your skin using the Dermal Vegetable Placenta Essence Mask. This hydrating face mask has great skin firming and regeneration properties. 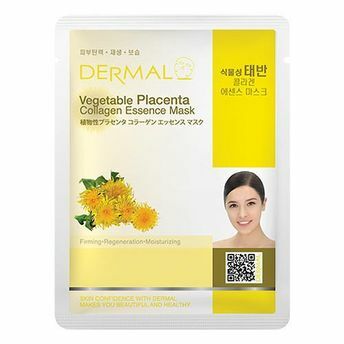 The sheet mask contains abundant nutriment of vegetable Placenta which was extracted from leaf of damiana thus it provides tired skin enough moisture to keep the skin fresh and bright.